The Buddha is the founder of Buddhism. 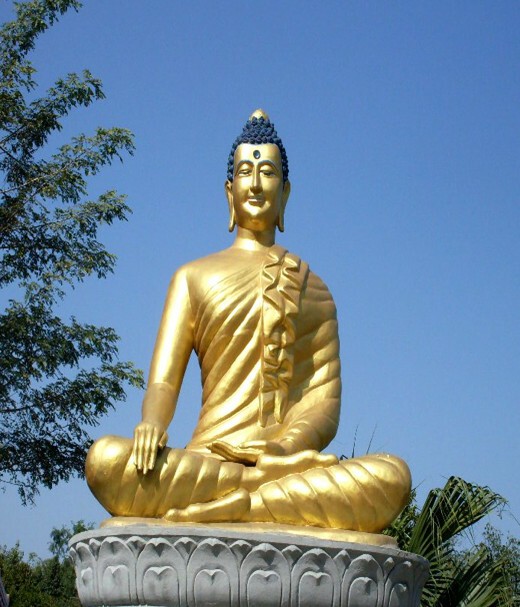 He was born on the full moon day of May 623 BC, in Lumbini, Nepal, and named Siddhartha. His father Suddhodhana was king of Kapilvastu, a small town in south-western Nepal. When his mother Maya Devi, Siddhartha was raised by Prajapati Gautami. After Maya Devi, Prajapati Gautami is another important woman figure in the Buddha’s life. She was not only his aunt and step-mother, but also the first woman to become a Buddhist nun. The Buddha’s teachings include the Four Noble Truth and the Eightfold Path. Lumbini, the birthplace of the Buddha, is about 300 km south-west of Kathmandu, Nepal, and four hours drive from Gorakhpur, India. 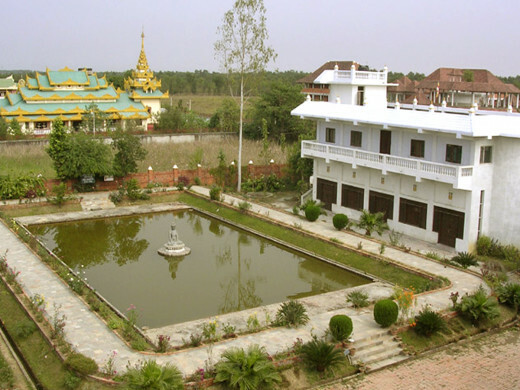 There is a garden in Lumbini, called Lumbini Sacred Garden, which is protected by UNESCO as World Heritage Site. 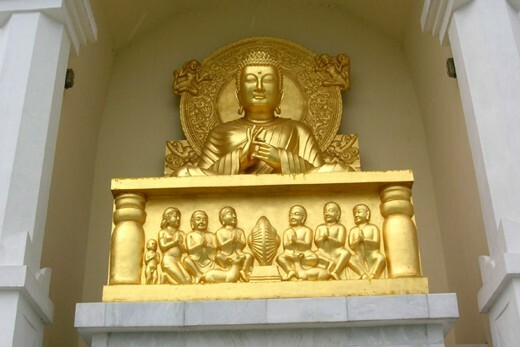 In Lumbini Sacred Garden, there is ancient temple dedicated to Maya Devi, the Buddha’s mother. 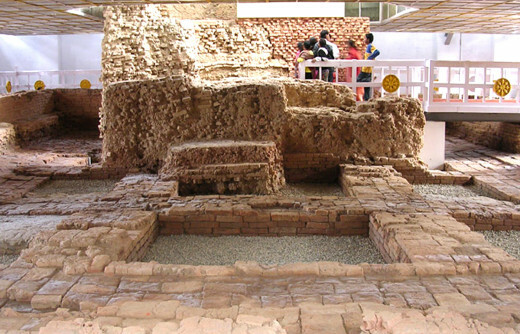 Inside the temple you can see ruins of ancient Maya Devi Temple, Buddha Nativity Sculpture and the Marker Stone, found during the excavation of the site. 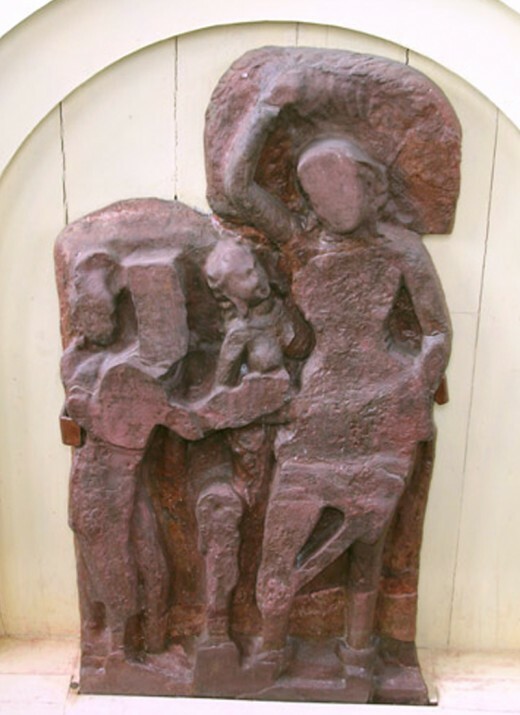 Buddha Nativity Sculpture depicts the birth of the Buddha and Marker Stone marks the exact spot where the Buddha was born. The earliest archeological evidence about Lumbini as the birthplace of the Buddha is a stone pillar laid by Indian Emperor Ashoka in 249 BC. Other historical reference regarding historicity of Lumbini includes a travel account by a Chinese pilgrim in 4th century. Tilaurakot was the home of Siddhartha Gautama, where he had lived for 29 years. 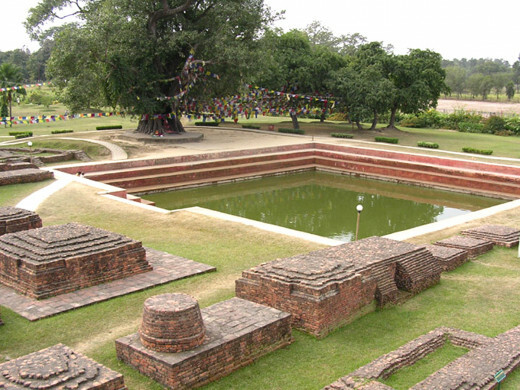 Tilaurakot is 41 km west of Lumbini. In Tilaurakot, the ruins of Suddhodhana’s palace can still be seen. 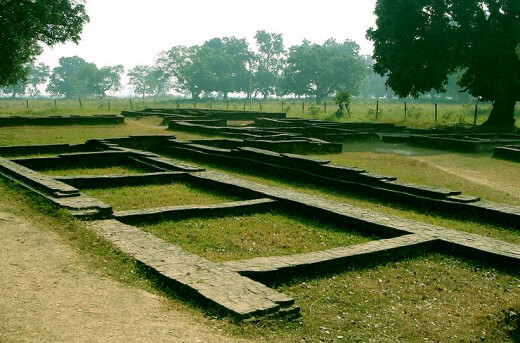 Suddhodhana’s kingdom is referred as Kapilvastu. 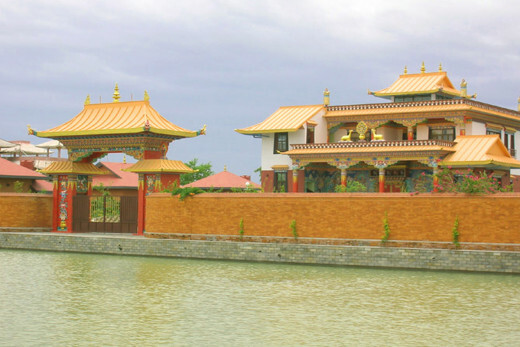 There are lots of religious and archaeological sites in and around Lumbini. 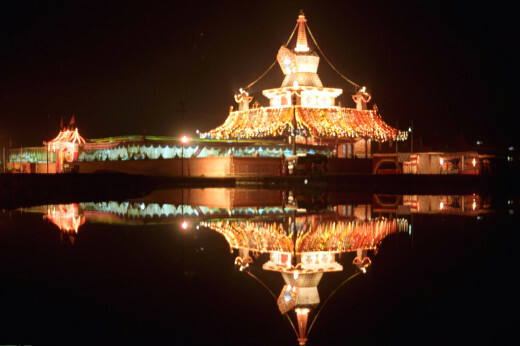 Nepal is celebrating 2012 as Visit Lumbini Year. 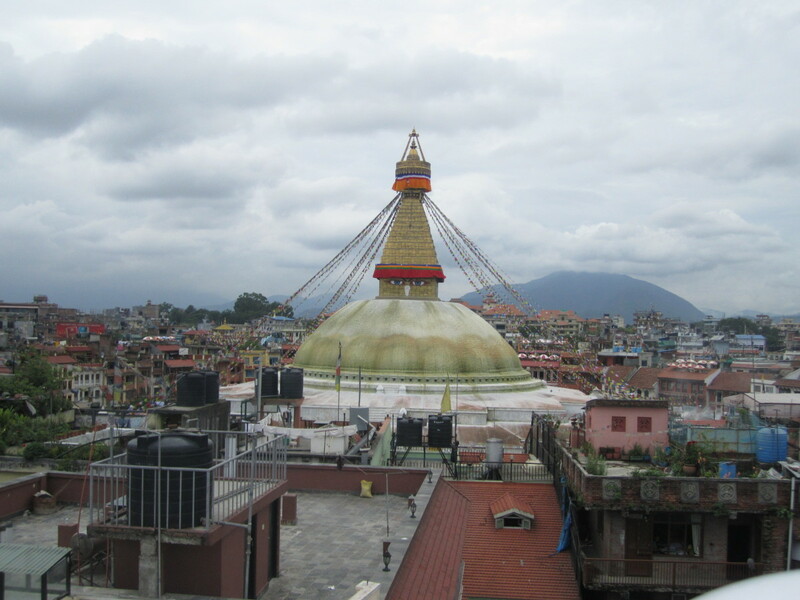 There are regular flights from Kathmandu, the capital of Nepal, to Bhairahawa, the nearest town to Lumbini. Kathmandu-Bhairahawa flight takes about 35 minutes. 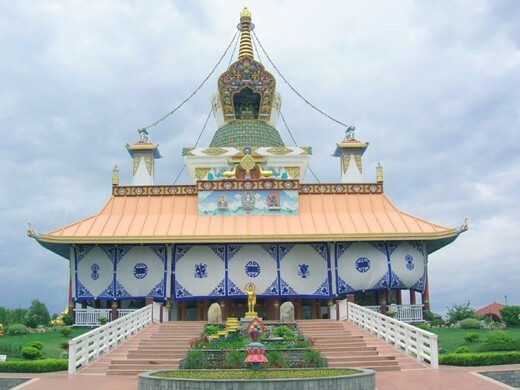 Bhairahawa to Lumbini is 22 km, and you can take a taxi or bus from Bhairahawa airport to Lumbini. If you want to take a bus from Kathmandu to Lumbini, it is 300 km, and takes about 10 hours. If you enter Nepal from India through Sunauli border, you can reach Lumbini from Sunauli in about one hour in a taxi. 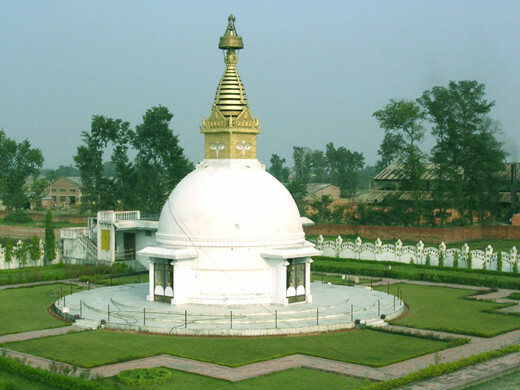 Lumbini was one of the cities in Kapilvastu, ruled by Shakya dynasty. Suddhodhana was the King, his kingdom was called Kapilvastu, and Tilaurakot was the capital. People in Kapilvastu were called Shakyas. 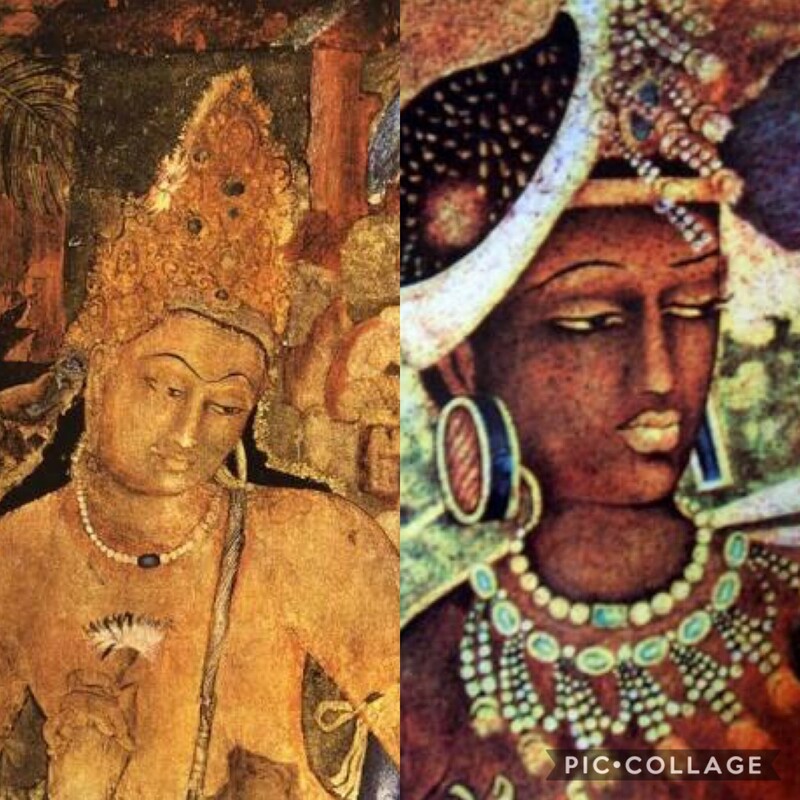 King Suddhodhana’s only son Siddhartha abandoned royal life and became the Buddha. Years later, Siddhartha’s son Rahula too, became a monk. Shakya’s lineage ended and the rein went to the hands of another clan. Legend has it Virudhaka, a king from Kosal, India, invaded Kapilvastu, torched the cities, and mutilated Shakyas. That was the retribution against Shakyas’ mischief; they had wedded his father to a slave. The vengeance came from the son of a slave. The Buddha was able to avert war for three times but eventually failed on the fourth attempt. Lumbini and other cities of Kapilvastu were eventually destroyed and lost in the rapids of time. Ashoka, Indian king of Mauryan dynasty, visited Lumbini in 249 BC and erected a stone pillar marking the birth place of the Buddha. The inscriptions on the pillar read “Shakya muni Buddha was born here.” According to the chronicles, Ashoka worshipped the Nativity Tree, the tree under which Siddhartha was born; paid homage to the Pushkarini pond, and visited the places like Kudan, Ramgrama, Gotihawa and Niglihawa, the places associated with the Buddha. Ashoka also marked his visit in these places by erecting stone pillars. Pillars erected by Ashoka are called Ashokan Pillars, which can still be seen in these places. Chinese pilgrims, in different times, travelled to the birthplace of the Buddha and wrote about Lumbini. 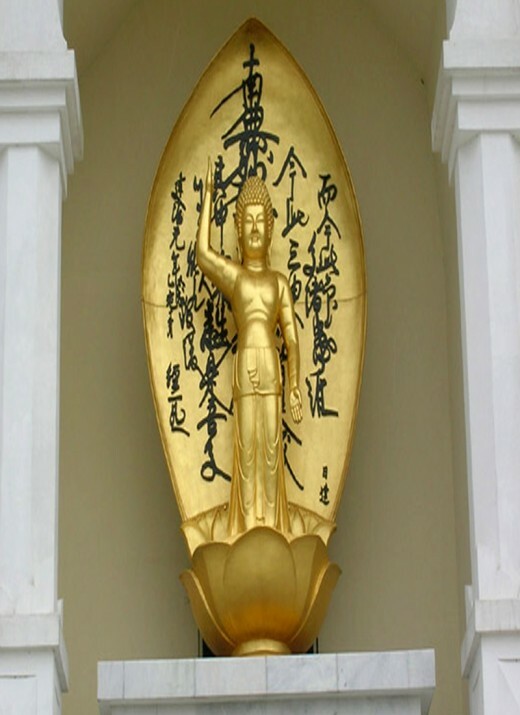 Tseng Tsai visited Lumbini in the 4th century, Fa-Hsien in 5th century and Hiuen Tsang in 7th century. Among these Chinese pilgrims, Hiuen Tsang’s travel account is very descriptive. He gives detailed account of his visit, and describes the Ashokan Pillars. In 1312 AD, Ripu Malla, a King from Sinja, a satellite Kingdom in Nepal, visited Lumbini and left a stone inscription marking his visit. Slowly, Lumbini and other cities associated with the Buddha were forgotten and the jungle began to engulf the entire area. Lumbini was lost for 600 years. Even the name was forgotten, people began to call it Rummindei and then later Rupandehi. Today, Lumbini is in Rupandehi district. It is a small town in the southern lowland called Terai, and very close to Nepal-India border. 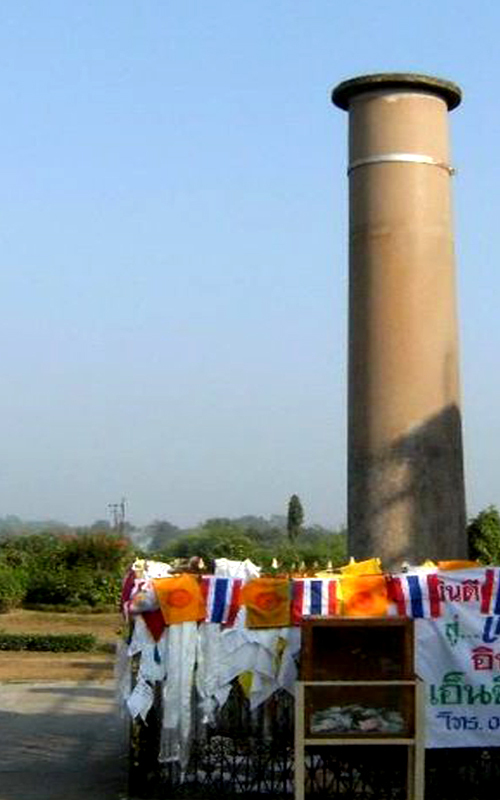 During the archaeological survey in 1896, General Khadga Shumshere Rana and Dr. Alois Fuhrer discovered Ashokan Pillar in Lumbini. 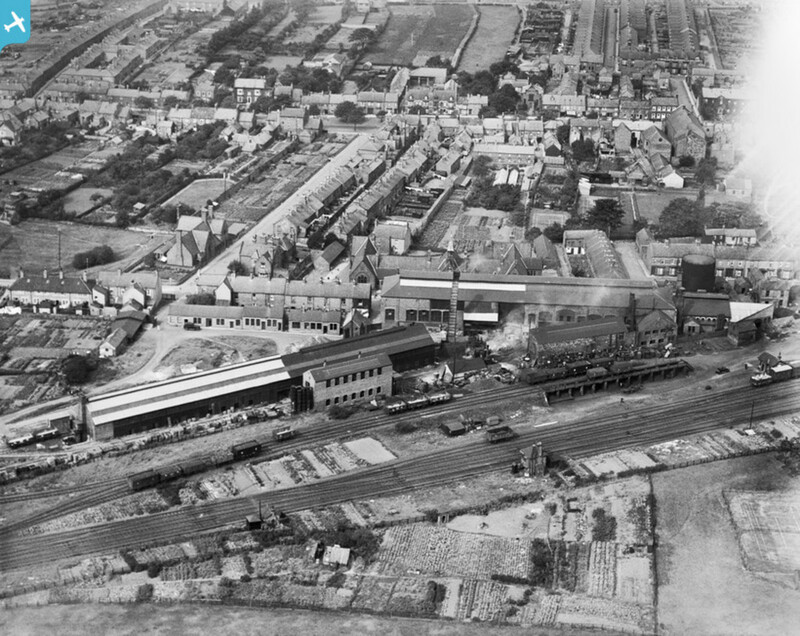 However, nothing concrete was done to protect the site until 1930. In 1930, under the guidance of General Kesar SJB Rana, a large scale excavation was carried out in Lumbini. 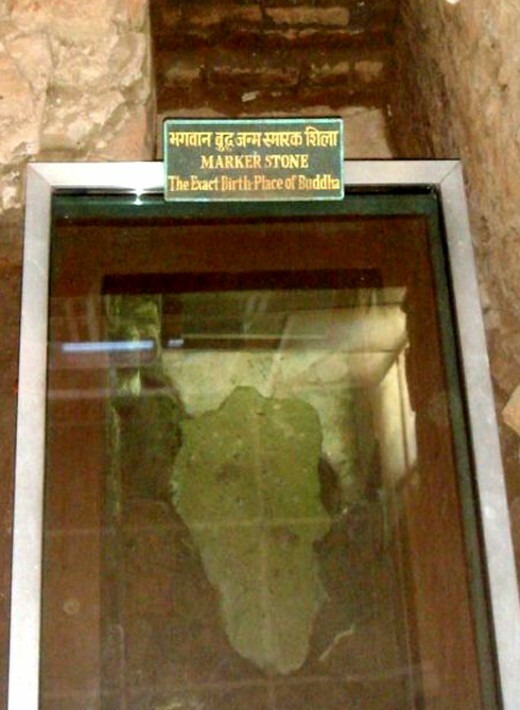 During the excavation, Marker Stone, the stone that marks the exact birth spot of the Buddha was discovered. 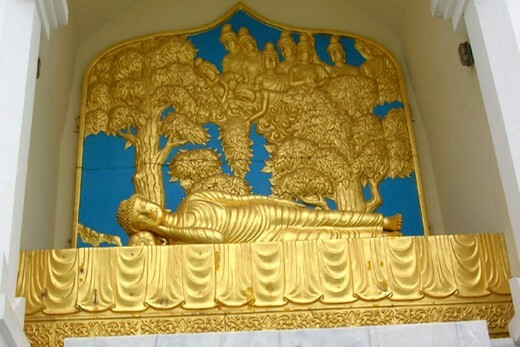 Other discoveries included the Buddha’s Nativity Sculpture, and gold casket. 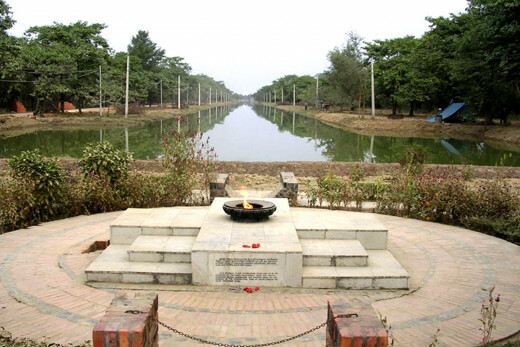 On the occasion of the fourth World Buddhist Conference, in 1956, King Mahendra and United Nations General Secretary U. Thant visited Lumbini and chalked out a plan to preserve the history of Lumbini. In 1970, Kenzo Tange was assigned to develop Lumbini Master Plan. 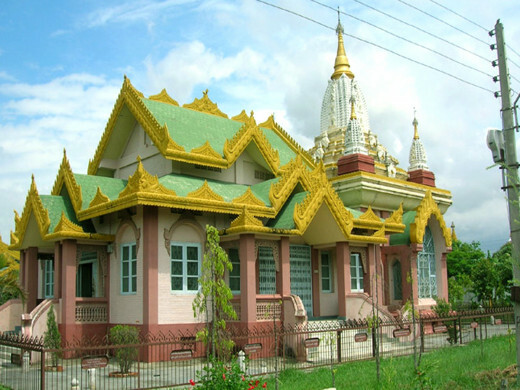 Lumbini Development Trust (LDT) was established in 1985 to take over the responsibilities of management and development of Lumbini and adjacent areas. Lumbini Master Plan developed by Prof Kenzo Tange is still underway. 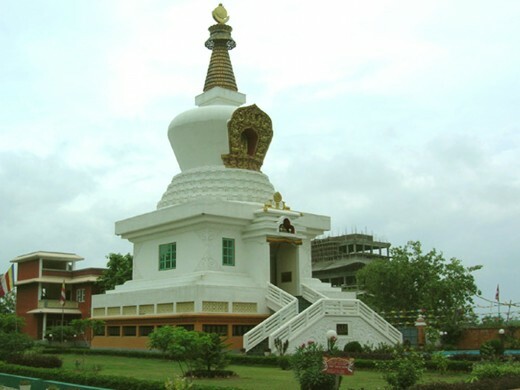 The Committee of UNESCO World Heritage recognized Lumbini as the birthplace of the Buddha and included Lumbini in World Heritage Site in 1997. 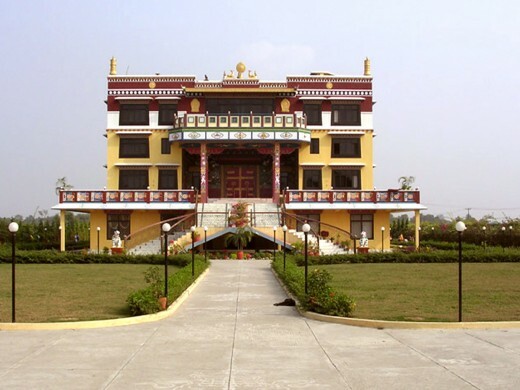 Depending on money you want to spend, you can stay in budget hotels and lodges or class hotels in Lumbini. 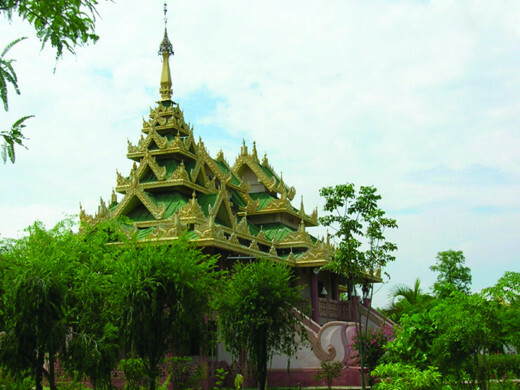 The hotels in and around Lumbini provide Lumbini-Buddhist tour, vehicle service, local guide, cultural programs and village bicycling. Lumbini Development Trust and Department of Archaeology must approve the script. You can also extend your itinerary by cycling/walking around villages like Madhuvani village, Lumbini Adarsha village, Tenuhawa village and Ekala village and get a rare glimpse of rural life and get accustomed with the local people. That's true. 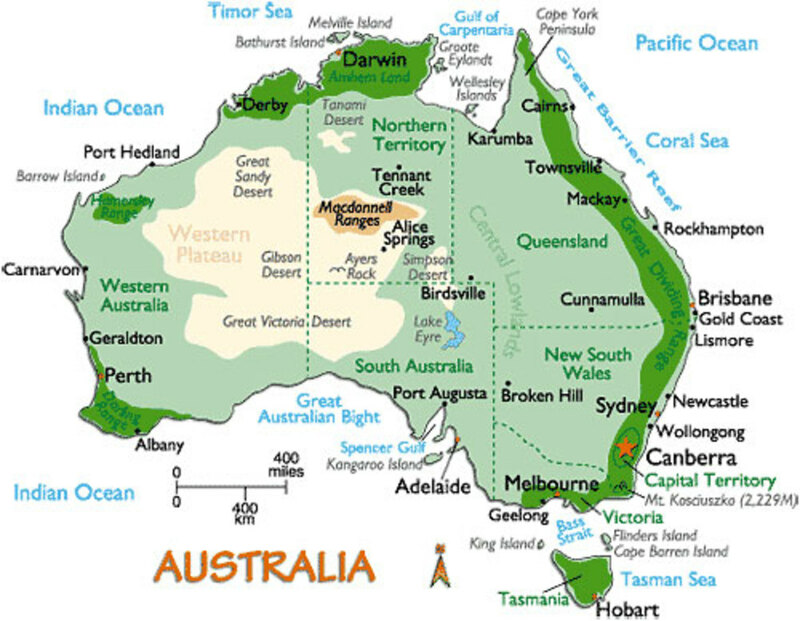 I have been writing about the country since a long time. 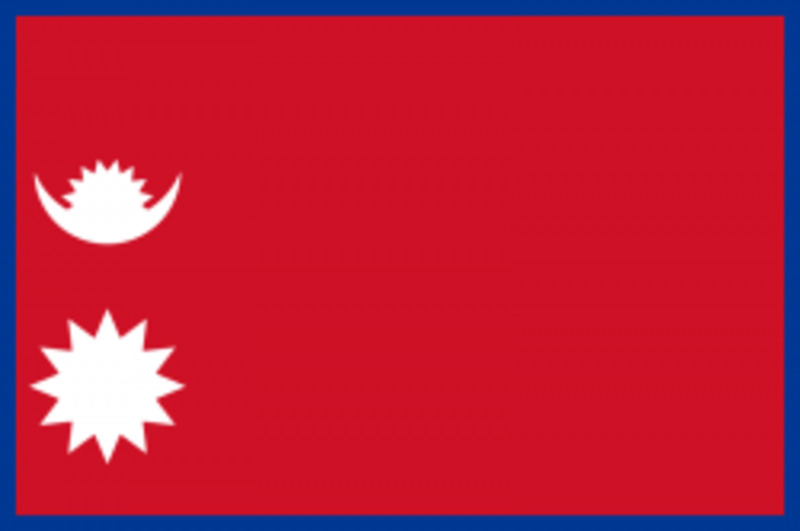 I still find difficulty to introduce Nepal. Your concern for your country overwhelms me. You are a good citizen, you are making your country proud. thanks for your valuable feedback. 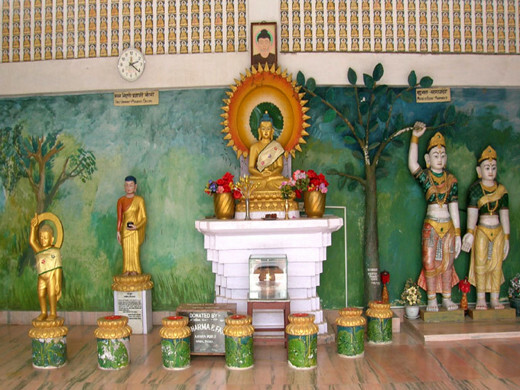 I agree there is lots of confusion about the Birthplace of the Buddha. I have friends in the West who still believe the Buddha was born in Nepal. It is like an online Buddhist magazine but thinking to get help from each and every people who follows Buddhism. I also want to connect every people who follows the principle of Buddhism in his/her life. Please check my website and let me know where can I further make correction to make it better. Vinaya, you will Always have my encouragement and support! Never Stop! @Lightshare, thanks for your comment. @Natashalh, thanks for reading and leaving a wonderful comment. @Sueswan, thanks for always admiring my works. @J.S. Matthew, thanks for always encouraging me. @tillsontitan, thanks for always reading and commenting on my hubs. @teaches, thanks for your comment. @mckbirdbks, thanks for always reading my hubs. You have become quite adroit at building beautiful hubs, filled with information and filled with wonder. 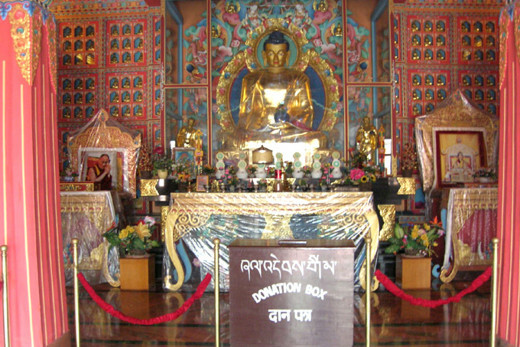 Vinaya, you have published comprehensive article to help those who haven't visited Lumbini. This is a well written and informative hub. I learned much from reading this. Well done. Voted up, useful, awesome and interesting! Packed with lots of facts and background. You really provided a lot of good history here. 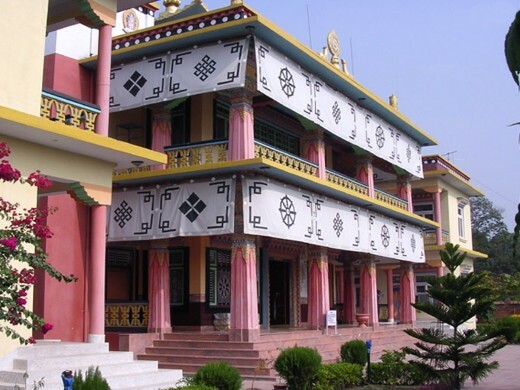 Your photos are gorgeous and make Lumbini look like a place I'd like to visit. Vinaya, this is one of the best Hubs I've seen. 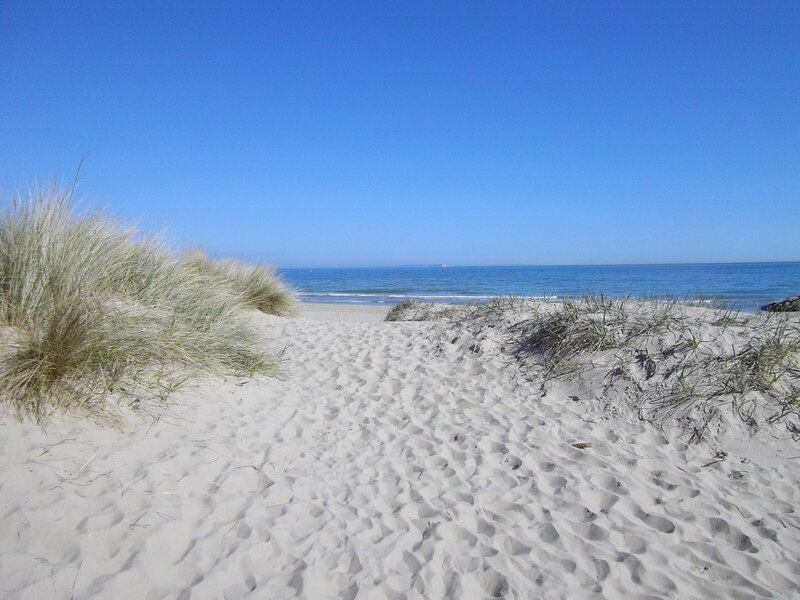 Your photos are perfect and you have so much useful information in this Hub. Voting up and sharing. I learned so much here. Thank you. A fascinating read. Your pictures are outstanding. I especially like the one of Tara Temple. Wow, what a detailed itinerary! I really enjoyed the picture of the Buddha nativity statue, too. I didn't even know such a thing existed. As always, thanks for the great hub. thanks for reading and complimenting my work. Interesting article. Great pictures too. Hello Sunshine, thanks for your compliments. Beautiful article, photos and details. Well done Vinaya! @TToombso, thanks for reading and commenting. @Loveloveme, thanks for stopping by to read my hub and follow me. @always exploring, thanks for always reading and appreciating my works. @Mhatter, thanks for your words of encouragement. @blaise, wow, so nice of you to say that. Thanks. Your hubs are so enlightening to the other cultures around the world. Thank you so much. I hope you will do more..Thank you..
this was a very detailed article. goood job! thanks for the pics. they were lovely. Fascinating stuff, Vinaya! 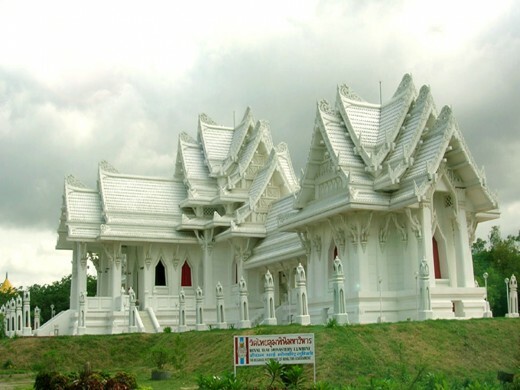 I would love to visit this place someday and learn more about Buddha. Thank-you for explaining more about Buddha, Buddhism, and Lumbini to me. I enjoy learning more about culture and spirituality. Your articles let me do so. @Anupma, I also feel that was. I always find Buddha and Buddhism very intriguing. More I read more I want to learn subject. Thanks for reading. @remaniki, thanks for appreciating my work. I believe we all should follow and spread message of the Buddha. Thanks for your comment. @soccer-world, the Buddha was born as a Hindu, in Lumbini, Nepal. And died in Kushinagar, India. 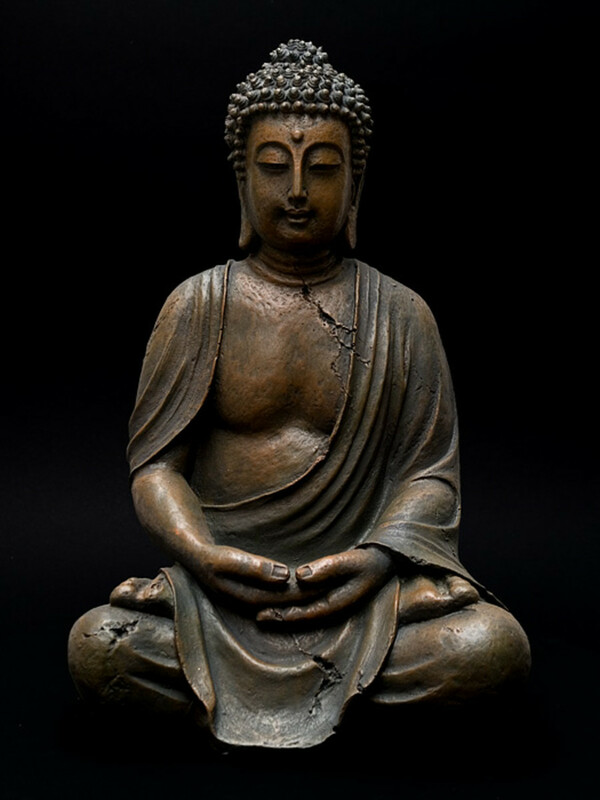 The Buddha did not founded any religion, but his followers were later referred as the Buddhist. @Rajan, thanks for always appreciating my works. @Frank, we all are learners here. I learn from you, and you learn from me. 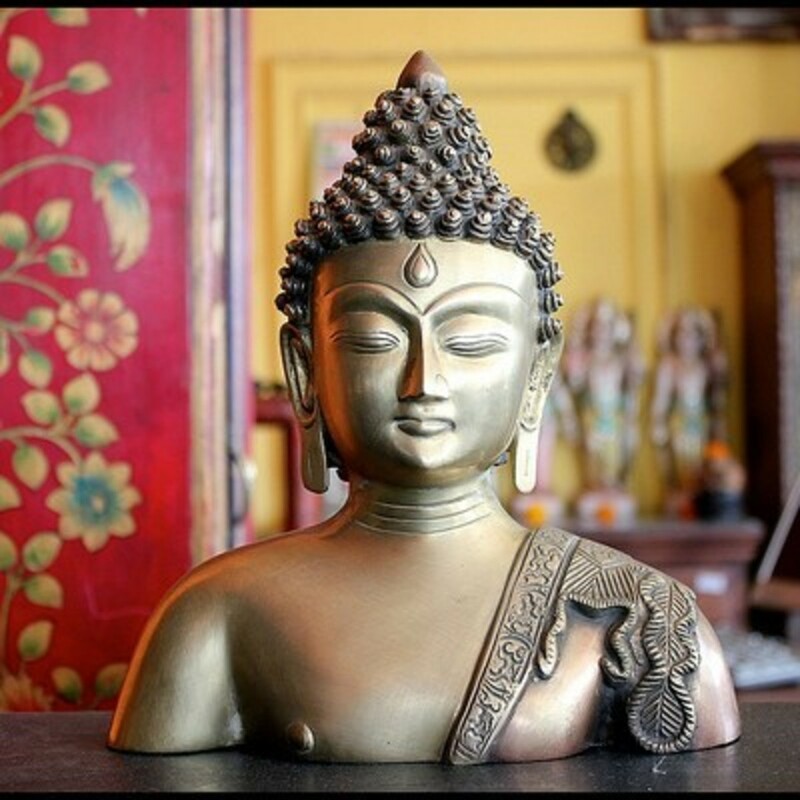 @Cardisa, the Buddha is portrayed with different face in different cultures. Perhaps you saw Buddha's figurines and idols made by Chinese artists.Thanks for reading and commenting. @Radha, you are right, the Buddha is considered an incarnation of Vishnu. Buddhist legends also points at this fact. Thanks for your comment. Very interesting about Buddha and his connection to Nepal. In Hinduism we consider the Buddha to be the 9th incarnation of Vishnu, the preserving aspect of God. He is thought to be the reformer who brought spiritual thought to its essence. Love the photos and monasteries and temples--beautiful. Wow, wow, wow! I am always amazed at your photos, the details of your articles and your interesting facts. I had no idea that Buddha was from Nepal. I always thought that Buddha was Chinese! Your country is so beautiful, I wish I could visit. Thank you for a great hub. Vinaya, another awesome hub this. 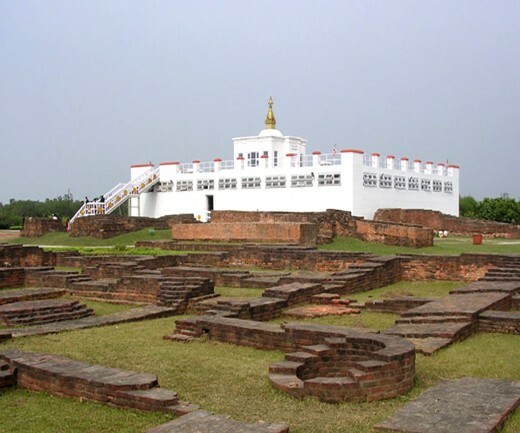 You have captured the history of Buddha and the historical place Lumbini very beautifully. Thanks for some exceptional photos. It was a delight to read and very knowledgeable for me. Voted up and all across. There cannot be a clearer picture of Lumbini than this one portrayed by you with precise details right from the history of the place to the tourist guide. This will be very helpful for those traveling to visit this great historical spot. I love Buddhism because I am a peace lover. Great hub. I have not kept up my promise to read your interview hubs so far. I will, soon. Sharing it as always for the benefit of fellow hubbers and pinning it too. Cheers, Rema. Thanks for sharing. Very Informative hub. I really want to know more and more about Buddhism and Lord Buddha. Although I read many book and from sites as well. But still my knowledge is incomplete.